The following dishwashers from Horsleys of Gainsborough are in stock at our Church Street showroom. 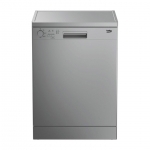 We stock a wide range of dishwashers of varying styles and specifications and can cater to all budgets. Looking for a special offer dishwasher or other kitchen electrical? Why not visit our electrical special offers section and grab yourself a bargain.